A woman of strength kneels in prayer to keep her soul in shape. A woman of strength shows courage inspite of her fear. A woman of strength gives the best of herself to everyone. God's blessings and capitalizes on them. A woman of strength knows God will catch her if she falls. A woman of strength wears grace. That she will become strong. Girls’ education is like sowing the seed which gives rise to green, cheerful and full grown family plant. Lack of education denies the girl child, the knowledge and skills needed to advance their status. Education enables the child to realize her full potential, to think, question and judge independently. It makes her a wise decision-maker, develop civic sense and learn to respect, love her fellow human beings and to be a good citizen. 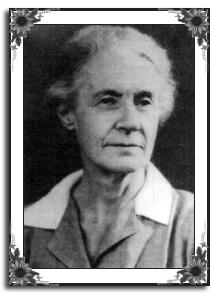 Ms. Helen Jerwood, a woman of strength laid the foundation of Queen Mary’s School and many other extended institutions. Carrying forward her vision and mission to educate the girl child, Queen Mary’s has been a pioneer in nurturing the girl child for almost a century now and is still playing a lead role in this direction.